Gerald Ford was the 38th president and is best known for pardoning recently impeached resigned president Nixon, presiding over a horrible economy and the malaise era: a period of time when the worst cars ever were built. The cars built from 1974-1977 during Mr Ford's reign were heavy, ugly, slow and unreliable - assaulted from both ends manufacturer's desire for quick profit and the government's desire for safety and emissions. 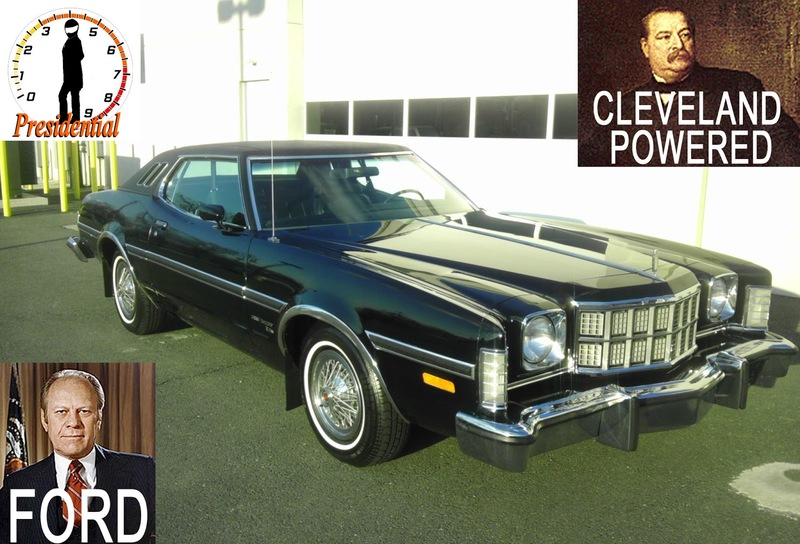 This 1974 Gerry Ford Torino is powered by a Grover Cleveland V8 and for sale in Cranford, NJ, currently bidding on ebay for $4,164 with 3 days to go. 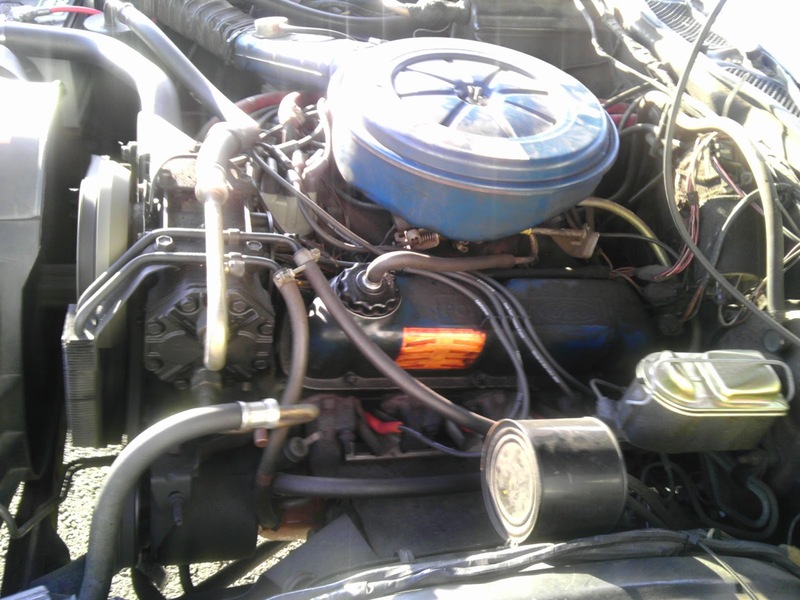 The Torino is powered by a 5.8 liter 351 Cleveland V8 that puts out 162 horsepower and 278 ft-lbs of torque. The engine is putting out half the horsepower of engines from a few years before, primarily due to the new emissions regulations and a focus on fuel economy. 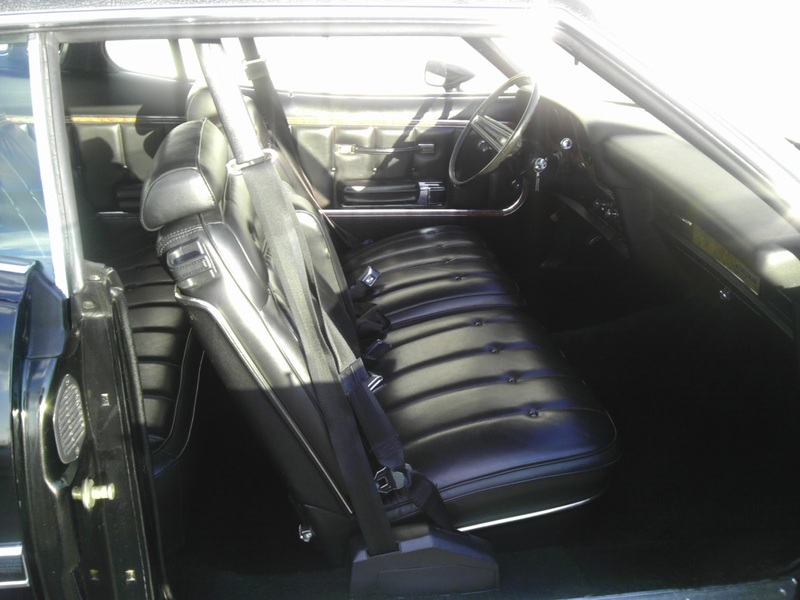 The inside of the Torino looks really well preserved for a 'donated' car and we have to be skeptical of the story, but perhaps the owner's family had no interest in the car and just felt it would be better as a tax write-off? Its a good thing they donated it to a charity because we couldn't pardon them if they sent it to a junkyard. The twin Landau windows look cool and were only available with the Sport model - the standard Torino had a single window for the rear passengers to see the world. 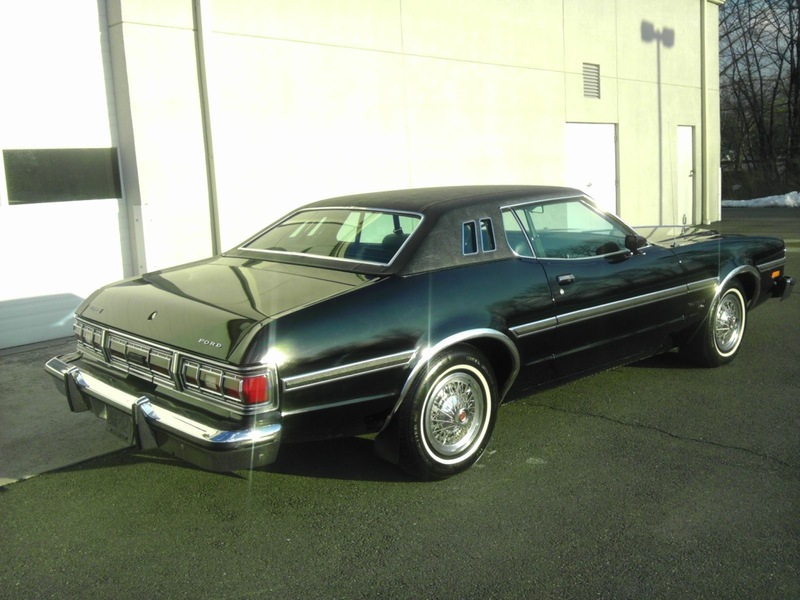 Regardless, if you are looking for a Malaise-mobile, we think this Ford era Ford is a sweet ride for the money. What a sterling example of the seriously ugly seventies; from automotive design to the leisure suit set, the only redeeming feature of the seventies was....uh.....nothing. At least DT got the politics correct. Unlike most who ascribe the "malaise" to President Carter, because of a speech he gave, the real malaise began under Nixon and accelerated under Ford. ~ exceptional. mid '70s Fords, and all cars, were so bland that this Torino Sport really stands out above the crowd.
. i haven't taken time to compliment the use of eBay widgets. it is a welcome feature.